Monday 6th January: The official launch of RebalanceDiabetes. It was great, thanks to all those who contributed to the success of the launch of 3 products: the RebalanceDiabetes structured nutrition and lifestyle education programme for those living with diabetes; my new book ‘the 6 diet’ published by FisherKing Publishing and soon available on Amazon worldwide; and this website www.rebalancediabetes.com – a single source of all things diabetes-related. Since 2005, NICE have been recommending that structured education is the way to tackle diabetes in the UK. Nine years on, it simply isn’t happening. And that is quite simply not good enough! 10% of the NHS budget? Yet the NHS fails to provide the very education that might help to save some of those costs? One source, Xpert, estimates this at £347 million!! What remains inestimable, of course, is the value that could be assigned to the improved quality of life that patients might realise from improved clinical outcomes. Why is it that reports all focus on monetary costs to the NHS, but neglect the value of health to the patient who otherwise faces the horrendous consequences of complications associated with poor diabetes care: cardiovascular disease, blindness, neuropathy, amputations, depression…? One might be forgiven for thinking that the lack of care boils down to a mere lack of money – but a recent report of proposed moves by the NHS to financially incentivise GPs to provide the simple tests to which patients are already entitled indicates that money per se is not the issue. Rather it alludes to something much worse than financial constraints – apathy! The fact that this also is failing to happen is truly shocking – regular routine monitoring of a serious disease not being carried out, and GPs being paid incentives to meet this minimum requirement? How about the NHS insisting on minimum standards without incentives, and spending the money that it has reserved for that on better education as recommended by NICE to actually improve the levels of care? Tell me – is that too logical? 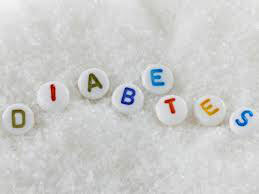 This entry was written by rebalancediabetes, posted on January 10, 2014 at 1:36 pm, filed under Education, RebalanceDiabetes, the 6 diet and tagged diabetes, education, education programme, launch, RebalanceDiabetes, structured education, structured education programme, the 6 diet. Bookmark the permalink. Follow any comments here with the RSS feed for this post. Post a comment or leave a trackback: Trackback URL. Thanks for the like Nilanjanalahiri.